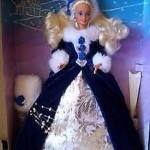 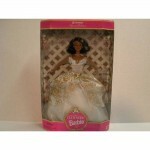 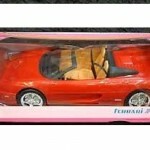 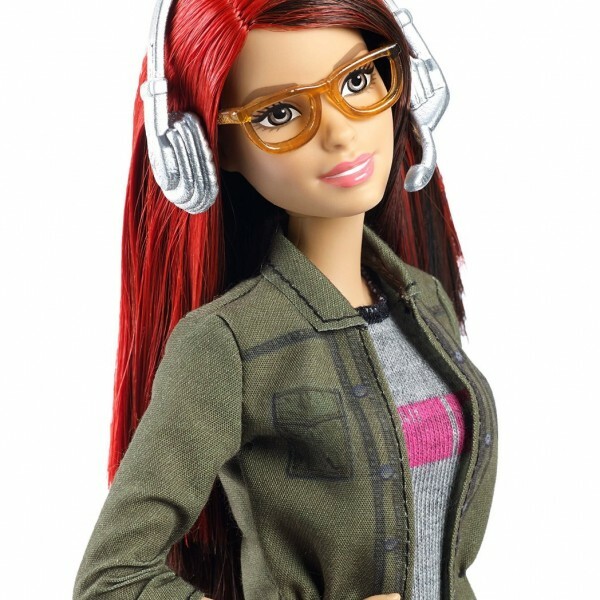 Inspire young gamers with this doll that is at the top of her game! 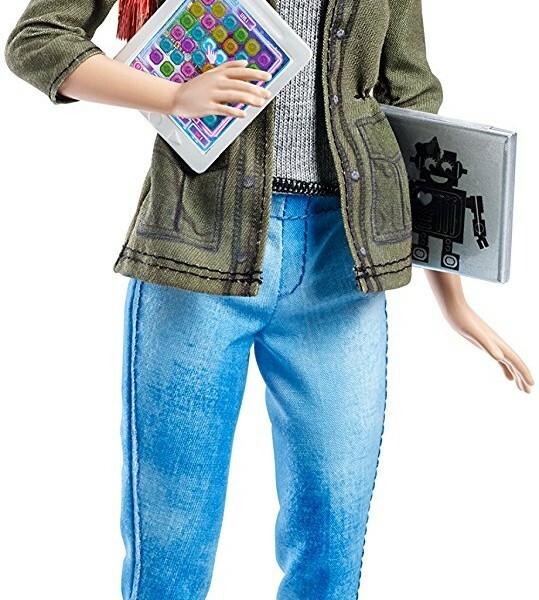 Includes Barbie doll wearing game developer fashion and accessories (including a pair of eyeglasses), laptop, tablet and headset. 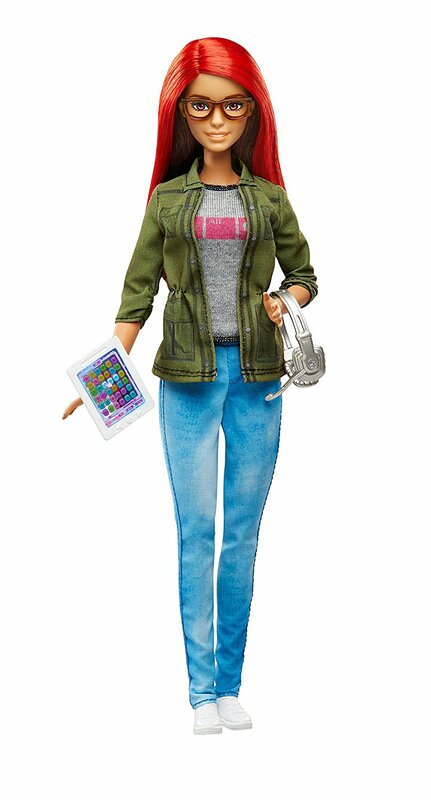 Explore the world of game development with the Barbie game developer doll! 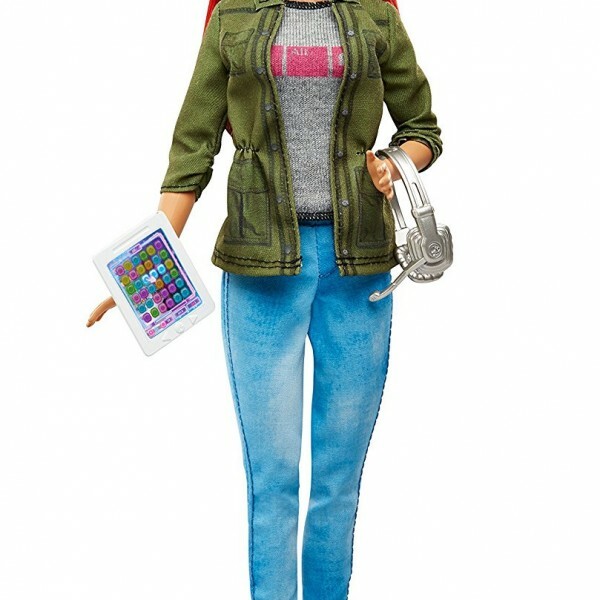 Honoured as a career of the year, young techies can play out the creative fun of this exciting profession. 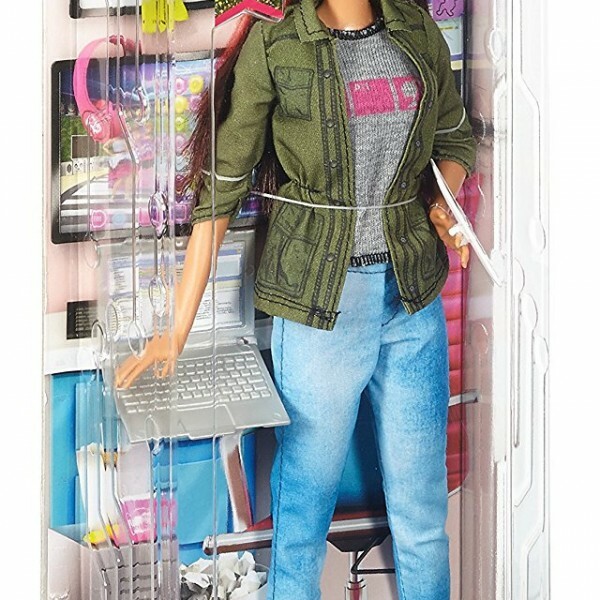 Barbie doll looks casually cool in an industry-inspired outfit. 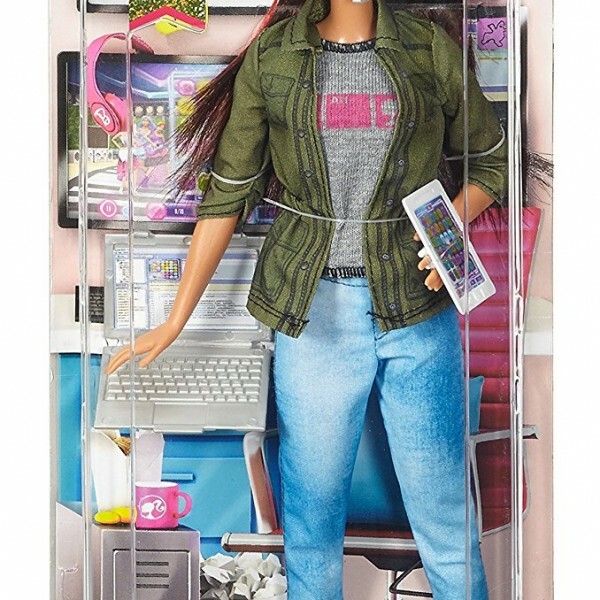 Her t-shirt breaks the fashion code with a hip graphic; faded denim pants are tech trendy; a green jacket is fashion-forward with sleeves rolled up; and white sneakers can go anywhere. 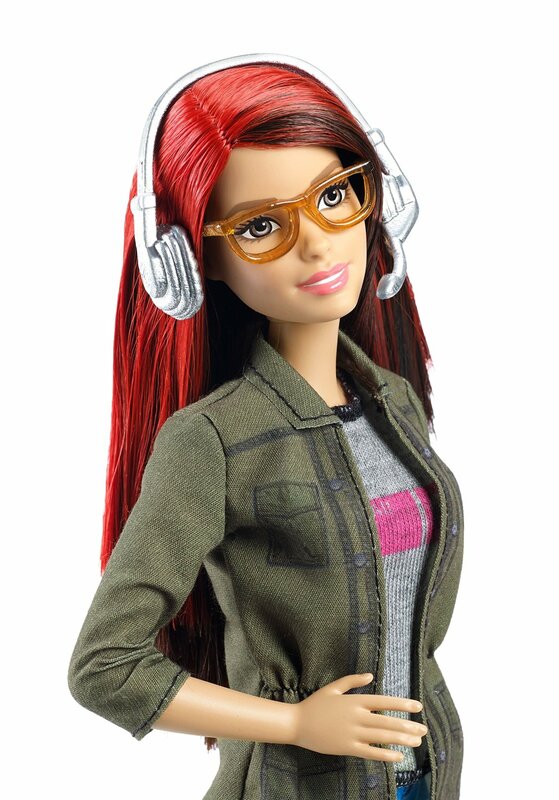 Vibrant red hair and bright matching glasses complete the authentic look. 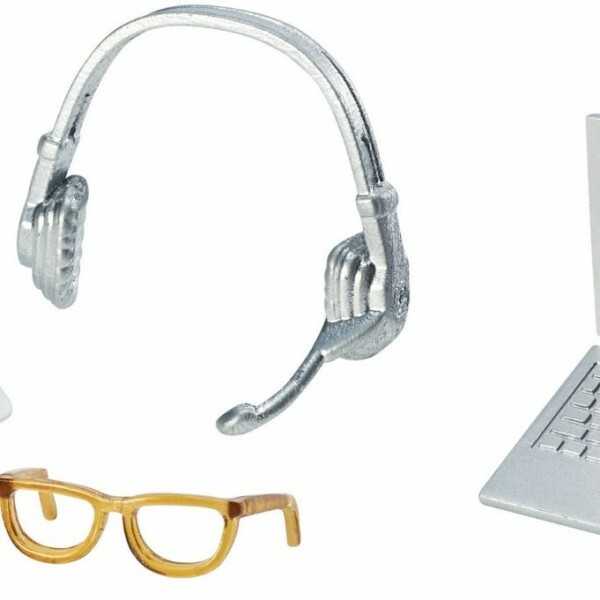 A laptop (with real game code graphics), tablet (with the game she is working on) and silvery headset expand the storytelling possibilities and career opportunities.